The right business LMS doesn't penalize you for growth. TOPYX is a business LMS solution that is created with the learner and administrator in mind to ensure that all members are equipped with tools they need to excel within the organization. 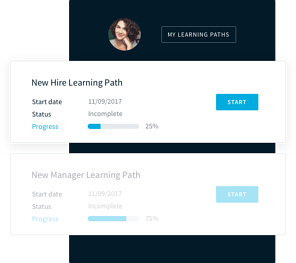 TOPYX includes a collection of LMS features that simplify learning and development for companies, businesses, and associations at a flat-rate price. No user fees, ever. Content Management. Our content catalog provides access to detailed LMS content creation and authoring tools that integrate with the other LMS solutions and features. Social Learning. Create a collaborative online learning space and interact with other employees. Mobile Learning. Browse learning content on any mobile device or tablet. E-commerce. Monetize and deliver your curriculum to a wider audience. Multi-language packages. Support a global workforce with language localization. Reporting. Easily navigate and customize your dashboard to view a comprehensive look into your key performance indicators. xAPI & SCORM. Interoperability support with xAPI, LRS (learning record store), and LTI (learning tools interoperability) as well as being a SCORM certified LMS. TOPYX is trusted by a variety of businesses, both domestically and internationally, to support training, collaboration and communication goals with full-featured business LMS software.